MALTA, officially the Republic of Malta (Maltese: Repubblika ta' Malta), is a small island nation comprising an archipelago of seven islands, three of which are inhabited. It is located in the Mediterranean Sea just 93 km (58 mi) south of Sicily, giving the country a warm, Mediterranean climate, and 288 km (179 mi) to its south is Libya, right in the heart of the Sea. Or if you like, a bridge between Southern Europe and North Africa. 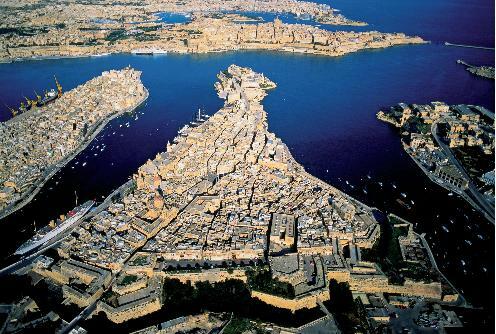 The nation's capital city is the historic Valletta, a UNESCO World Heritage. 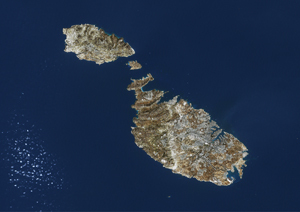 Throughout much of its history, Malta has been considered a crucial strategic location due in large part to its position in the Mediterranean Sea. It was held by several ancient cultures including Sicilians, Romans, Phoenicians, Byzantines and others. The island is commonly associated with the Knights of St. John who ruled it. This, along with the historic Biblical shipwreck of St. Paul on the island, ingrained the strong Roman Catholic legacy which is still the official and most practiced religion in Malta today. The country's official languages are Maltese and English, the latter a legacy from Malta's period as a British colony � the United Kingdom is the most recent outside ruling power. Malta gained independence in 1964 and is currently a member of the Commonwealth of Nations, as well as the European Union which it joined in 2004. The Republic of Malta adopted the Euro monetary system on the 01st of January 2008. Over the past few years, the Maltese property market has been experiencing a rise in foreign buyers investing in a holiday home or a permanent home away from home. Malta offers: outstanding tax benefits, a safe and relatively crime-free lifestyle, excellent health care facilities, superb climate and good communications with over 30 weekly direct scheduled flights. This cocktail combined with the friendliness and welcoming nature of the Maltese makes Malta A Great Peaceful Family Place.